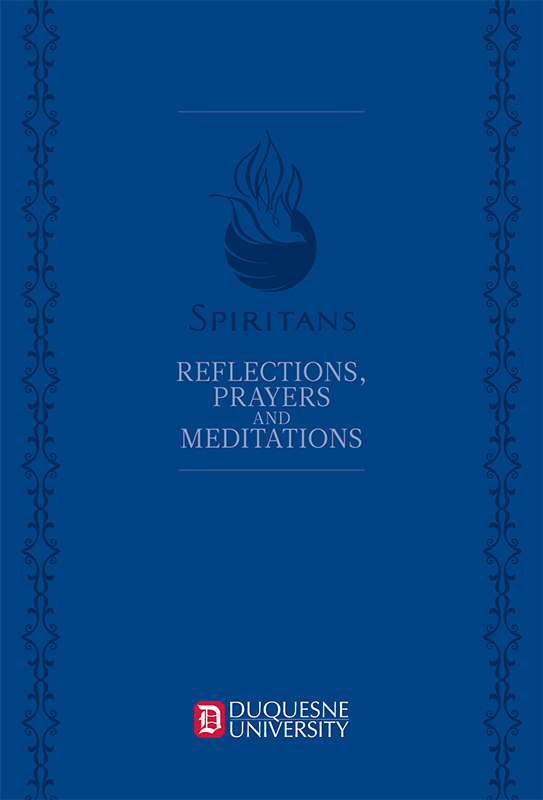 Members of the campus community are invited to draw inspiration and peace from Reflections, Prayers and Meditations, a prayer book released by the Division of Mission and Identity. In addition to dozens of traditional and contemporary prayers—many contributed by Duquesne faculty, staff, students, alumni and members of the Spiritan community—the book contains prayers from other faiths and guidance on pursuing a meditation practice. Reflections, Prayers and Meditations inspires readers to find peace in the midst of situations typically encountered on a college campus. A digital version is available online through the Mission and Identity website.